The monarchy of Barbados is the core of the country's Westminster style parliamentary democracy, being the foundation of the executive, legislative, and judicial branches of the government. 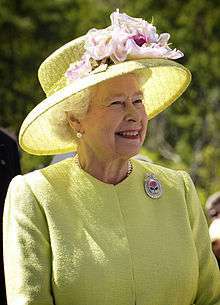 The current Barbadian monarch, since 6 February 1952, is Queen Elizabeth II. As the sovereign, she is the personal embodiment of the Barbadian Crown. Although the person of the sovereign is equally shared with 15 other independent countries within the Commonwealth of Nations, each country's monarchy is separate and legally distinct. As a result, the current monarch is officially titled Queen of Barbados and, in this capacity, she, her husband, and other members of the Royal Family undertake public and private functions domestically and abroad as representatives of the Barbadian state. However, the Queen is the only member of the Royal Family with any constitutional role. The Queen lives predominantly in the United Kingdom and, while several powers are the sovereign's alone, most of the royal governmental and ceremonial duties in Barbados are carried out by the Queen's representative, the governor-general. The historical roots of the Barbadian monarchy date back to approximately the early 17th century, when King James IV of Scotland and I of England made the first claims to Barbados. Monarchical governance thenceforth evolved under a continuous succession of British sovereigns and eventually the Barbadian monarchy of today. 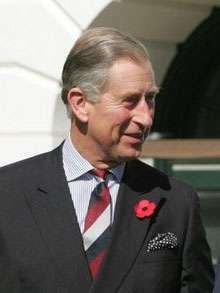 The person who is the Barbadian sovereign is equally shared with 15 other monarchies (a grouping, including Barbados, known informally as the Commonwealth realms) in the 54-member Commonwealth of Nations, with the monarch residing predominantly in the oldest and most populous realm, the United Kingdom, and a viceroy—the Governor-General of Barbados—acting as the sovereign's representative in Barbados. 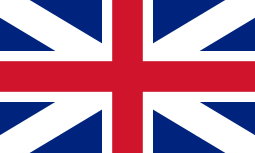 This arrangement emerged among the older realms after the end of the First World War and is governed by the Statute of Westminster 1931. Since then, the pan-national Crown has had both a shared and a separate character and the sovereign's role as monarch of Barbados has been, since Barbados' independence in 1966, distinct to his or her position as monarch of any other realm, including the United Kingdom. [n 1] Only Barbadian ministers of the Crown may advise the sovereign on matters of the Barbadian state. The monarchy thus ceased to be an exclusively British institution and in Barbados became a Barbadian, or "domesticated", establishment. 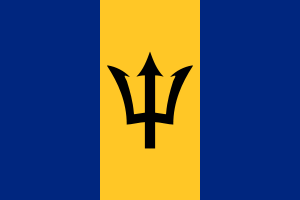 After attempting in 1958 a federation with other West Indian colonies, similar to that of fellow Commonwealth realms Canada and Australia, continued as a self-governing colony under the Colonial Office, until independence came with the signing of the Barbados Independence Order by Queen Elizabeth II. In the same year, Elizabeth's cousin, Prince Edward, Duke of Kent, opened the second session of the first parliament of the newly established country, before the Queen herself, along with her husband, Prince Philip, Duke of Edinburgh, toured Barbados, opening Barclays Park, in Saint Andrew, amongst other events. Elizabeth returned for her Silver Jubilee in 1977, after addressing the new session of parliament, she departed on the Concorde, which was the Queen's first supersonic flight. She also was in Barbados in 1989, to mark the 350th anniversary of the establishment of the Barbados parliament, where she sat to receive addresses from both houses. ↑ The English Court of Appeal ruled in 1982, while "there is only one person who is the Sovereign within the British Commonwealth... in matters of law and government the Queen of the United Kingdom, for example, is entirely independent and distinct from the Queen of Canada." ↑ During the 1990 Jamaat al Muslimeen coup attempt in nearby Trinidad and Tobago, all branches of government were successfully captured on the island, leading to the president and cabinet having to sign an amnesty to return toward governance. ↑ Justice Rouleau in a 2003 Ontario court ruling wrote that "Union under the... Crown together with other Commonwealth countries [is a] constitutional principle". ↑ "Barbados". 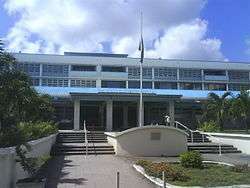 Caribbean Court of Justice. ↑ R v Foreign Secretary, Ex parte Indian Association (as referenced in High Court of Australia: Sue v Hill  HCA 30; 23 June 1999; S179/1998 and B49/1998) , QB 892 at 928 (English Court of Appeal June 1999). 1 2 3 4 Royal Household. "The Queen and Commonwealth > Other Caribbean Realms". Queen's Printer. ↑ Mallory, J.R. (August 1956). "Seals and Symbols: From Substance to Form in Commonwealth Equality". The Canadian Journal of Economics and Political Science. Montreal: Blackwell Publishing. 22 (3): 281–291. ISSN 0008-4085. JSTOR 138434. ↑ Anglican Church Worldwide. "Barbados". ↑ A, C (4 October 2006). "Tull: Tell us about coup rumours". Nation Newspaper. Archived from the original on 4 October 2009. Retrieved 4 October 2009. ↑ Mackinlay, Andrew (10 Mar 2005). "Early day motion 895: MORGANATIC MARRIAGE AND THE STATUTE OF WESTMINSTER 1931". London: British Parliament. Retrieved 5 November 2011. ↑ O'Donohue v. Her Majesty The Queen in Right of Canada and Her Majesty The Queen in Right of Ontario , 2003 CanLII 41404, paragraphs 3 and 24 (Ontario Superior Court of Justice 26 June 2003). 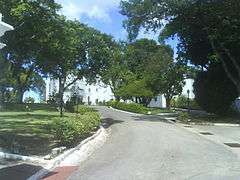 ↑ Parliament of Barbados. "The Mace of the House of Assembly". Government Printer. 1 2 Parliament of Barbados. 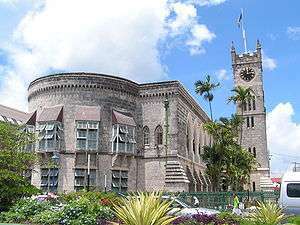 "The Barbados Parliament: Independence". Government Printer. 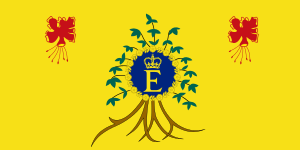 ↑ "Flag of Queen Elizabeth II in Barbados". Flags of the World. ↑ Barbados Postal Service. "The Golden Jubilee". Government Printer. ↑ Barbados Postal Service. "The Golden Jubilee Souvenir Sheet". Government Printer. 1 2 3 4 "Parliament's History". The Barbados Parliament. ↑ Schomburgk, Robert Hermann (1848). The History of Barbados. London: Longman, Brown, Green, and Longmans. p. 318. ↑ Thomas, Norman "Gus" (7 February 2005). "Barbados to vote on move to republic". Caribbean Net News. Retrieved 2006-06-30. ↑ Staff writer (26 November 2007). "Referendum on Republic to be bundled with election". Caribbean Broadcasting Corporation. Archived from the original on 2007-11-28. Retrieved 2007-11-27. ↑ Gollop, Chris (2 December 2007). "Vote Off". The Nation. Retrieved 2008-06-17. ↑ "PM says Barbados moving towards Republic". Jamaica Observer. 23 March 2015. Retrieved 23 March 2015. ↑ "Barbados plans to replace Queen with ceremonial president". The Guardian. 23 March 2015. Retrieved 23 March 2015. ↑ "Barbados wants to ditch the Queen on the 50th anniversary of its independence". The Independent. Associated Press. 14 December 2015. Retrieved 28 December 2015. Burleigh, Craig (2008). "Queen Elizabeth II Silver Jubilee in Barbados ends with her first flight on Concorde on a record setting flight back to London Heathrow.". Retrieved 16 January 2010.